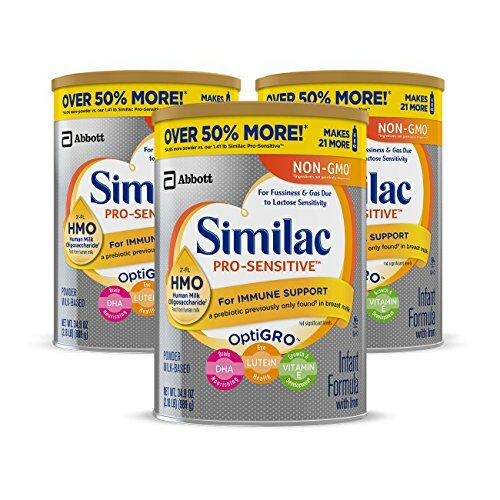 Similar Pro-Sensitive helps strengthen your baby's immune system to be more like a breastfed baby than ever before. How? Similar with 2'-FL helps support baby's developing immune system by closing multiple gaps in immune function between formula-fed and breast-fed infants. Unlike other formulas, Similar has 2'-FL HMO, a prebiotic that circulates throughout the body. Moms reported reduced fussiness, gassiness and spit-up after 1 day. Similar' s biggest breakthrough in nearly a decade comes in two gentle formulas: Similar Pro-Advance and Pro-Sensitive.